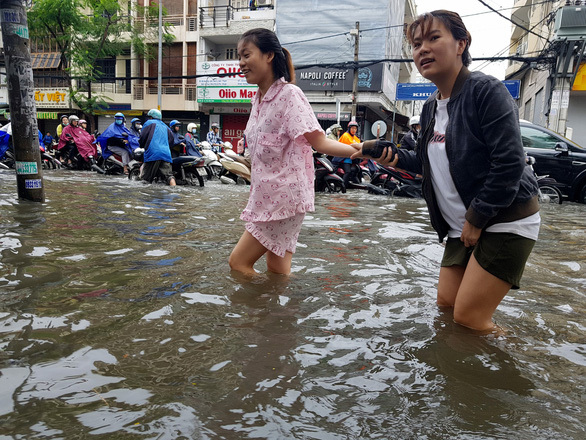 Many neighborhoods across Ho Chi Minh City have been submerged under massive volume of rainwater as downpours overwhelmed the metropolis on the entire Sunday. 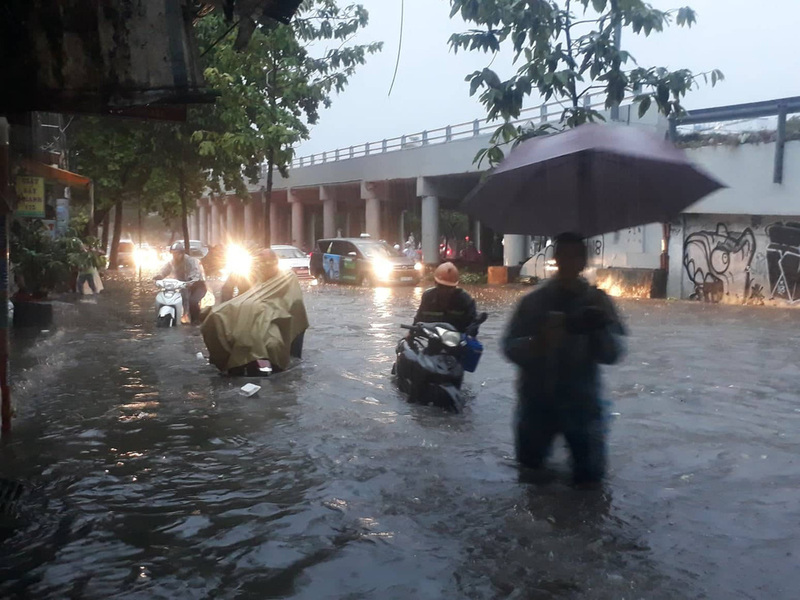 As observed by Tuoi Tre (Youth) newspaper reporters, torrential rains started flooding numerous roads in many districts in the evening, posing nightmare for commuters, especially motorcyclists. 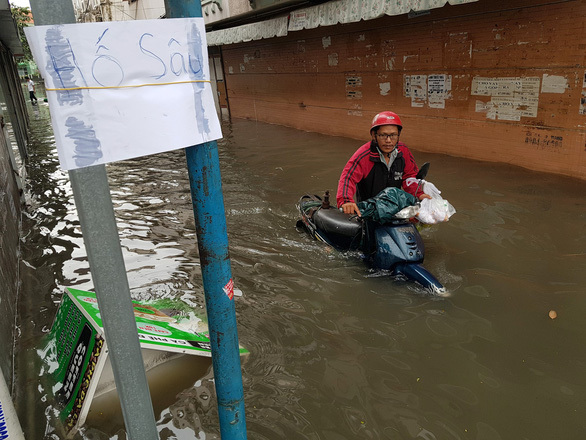 Along Huynh Tan Phat Street in District 7, where floodwater was as high as one meter, people were helplessly pushing their broken-down motorbikes. 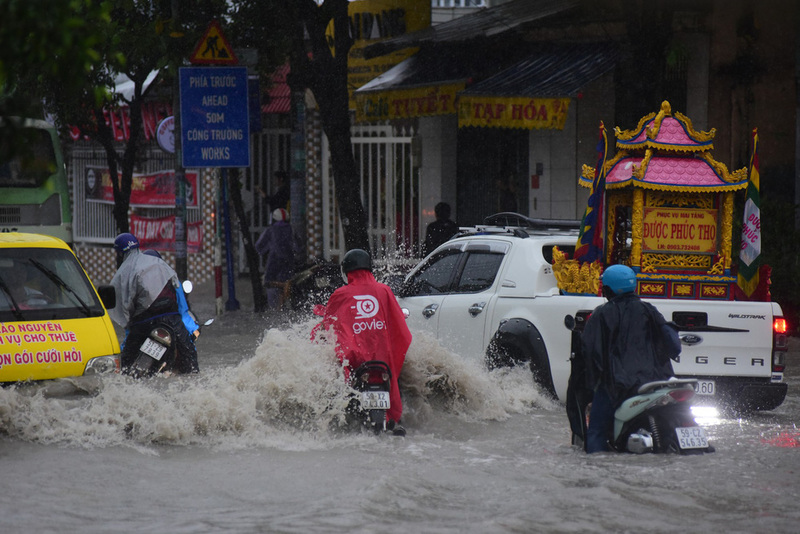 Many of them were knocked down by the waves whenever a big vehicle passes. 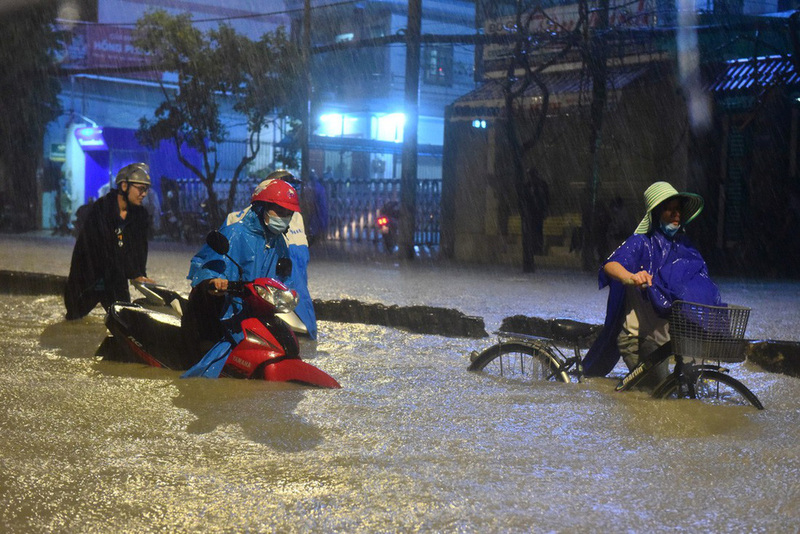 On Nguyen Huu Canh Street in Binh Thanh District, water level was about half a meter. 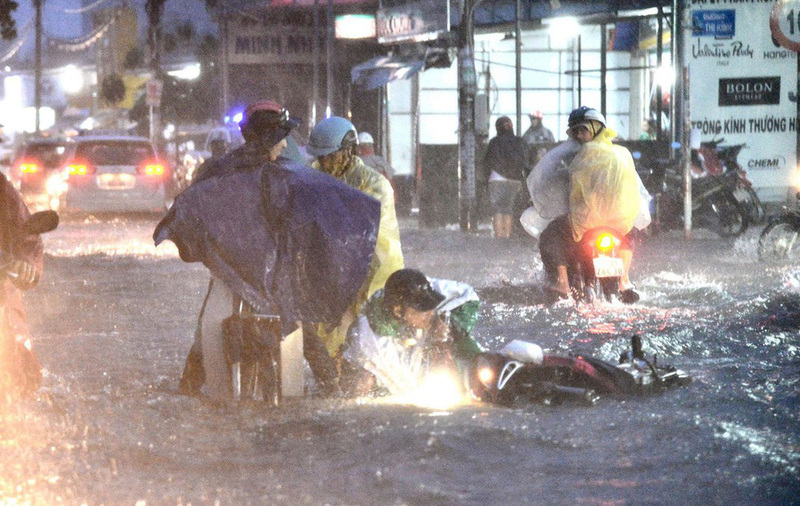 Motorbike repair stores along the road were always filled with customers. 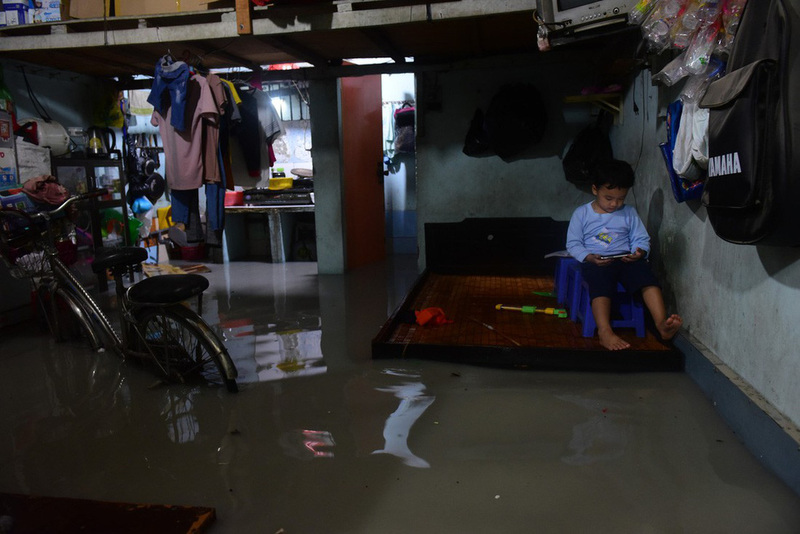 Those who live along inundated streets and alleys had to applied every measure possible to prevent floodwater from flowing into their houses, or to at least mitigate the situation inside their already flooded homes. 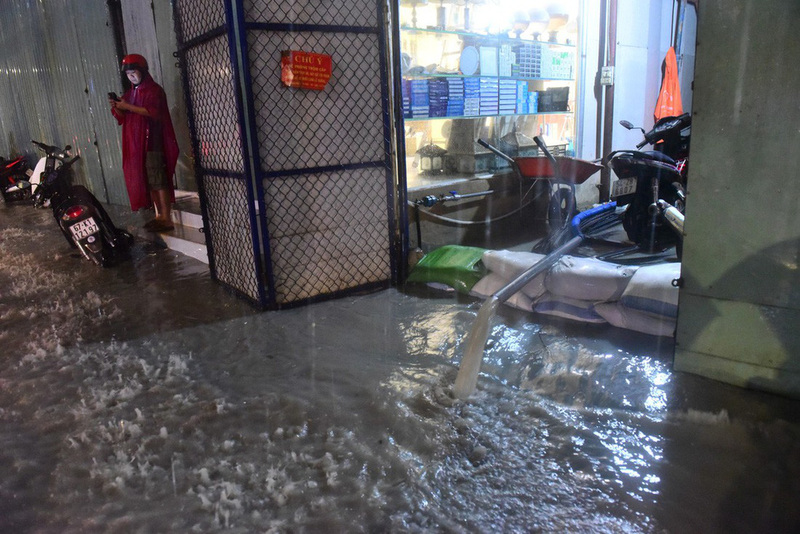 Many had to stay awake the entire night to splash water out of their houses. 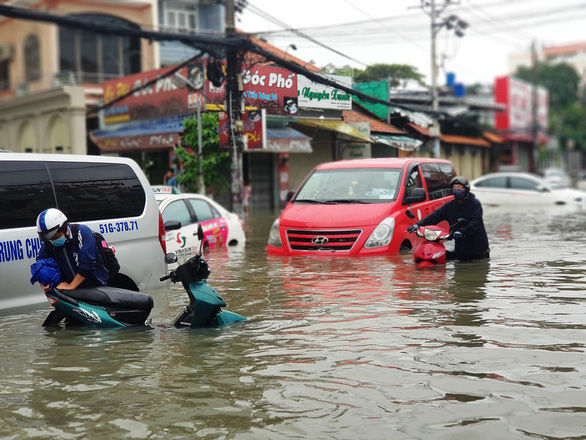 Meanwhile, other waited endlessly for the floodwater to recede or just simply for their turn at the motorbike repair facilities. 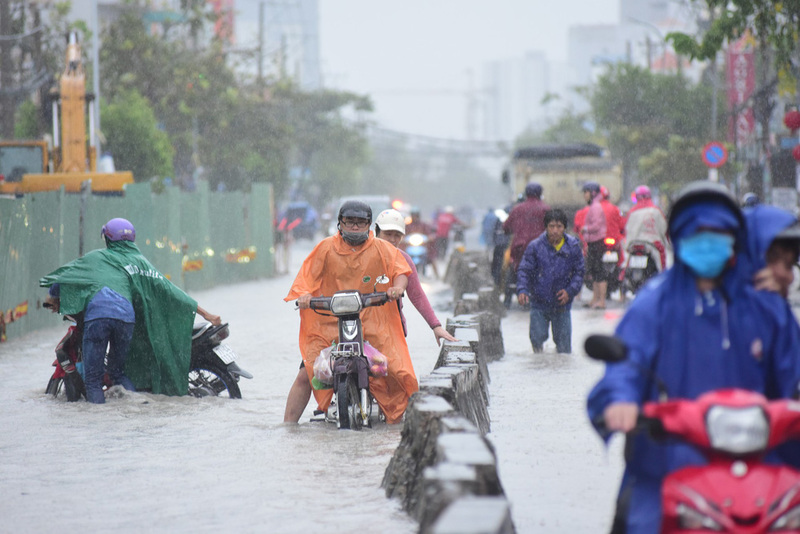 According to Le Dinh Quyet, an official from the southern weather station, the rain on Sunday had the highest volume and longest time in the city’s history. 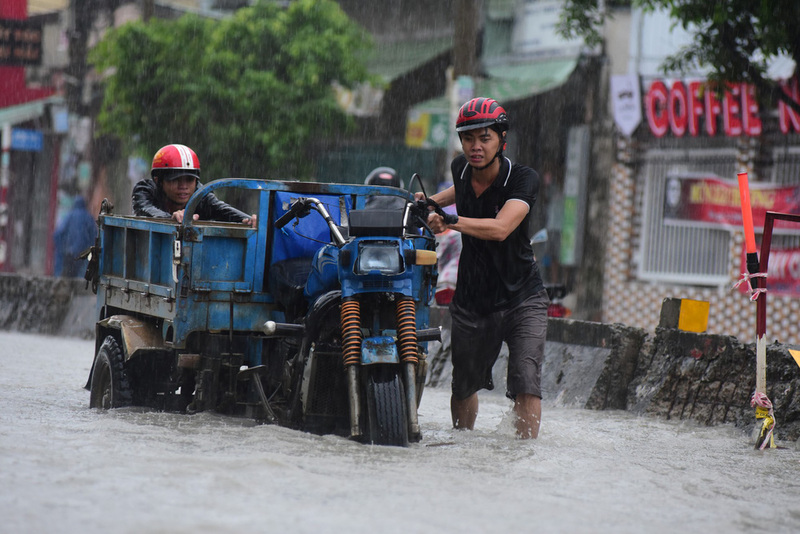 Rainfall in Tan Binh District exceeded 407 millimeters, followed by Nha Be District with 345 millimeters. 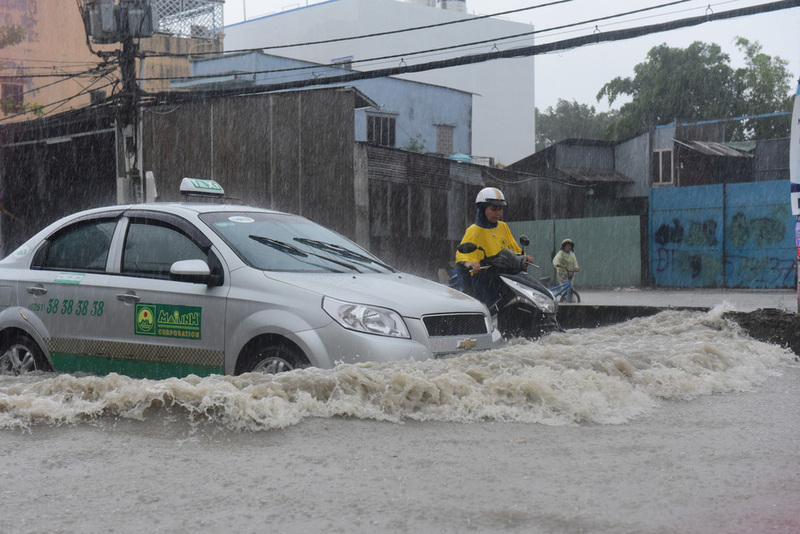 Rain volume in downtown area was recorded as 301 millimeters. 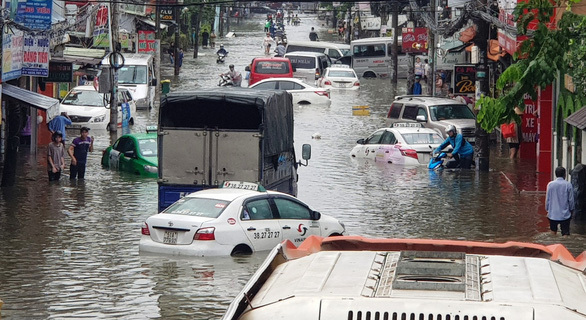 It is expected to continue raining in the city on Monday, but in much less intensity, Quyet stated. 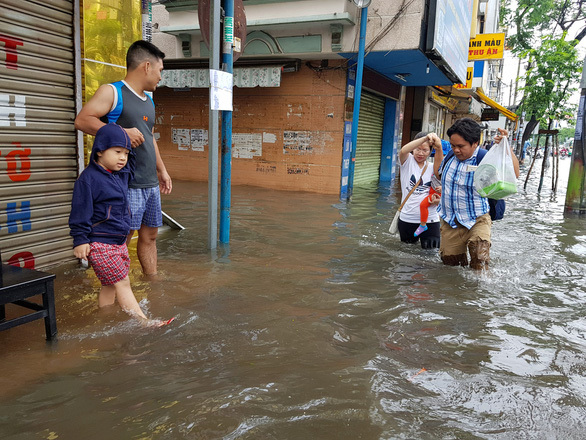 The weather condition is the result of the circulation of a tropical depression after Storm Usagi weakened on Sunday afternoon. 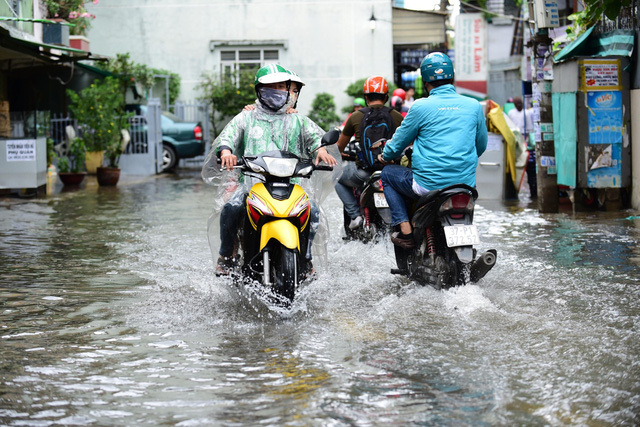 About 60 areas will remain inundated on Monday, as the southern hub is also being affected by tidal flooding, the weather pundit added. 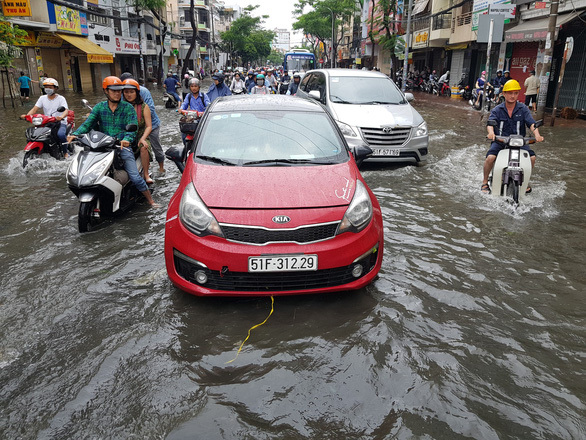 Below are photos of submerged streets in Ho Chi Minh City on Sunday.